This 2nd Year Extended Warranty program is ONLY for those products under our 1st year standard warranty. You can buy this extended warranty when you purchase our product or later within the first 1st year (standard warranty period) after product warranty registration. 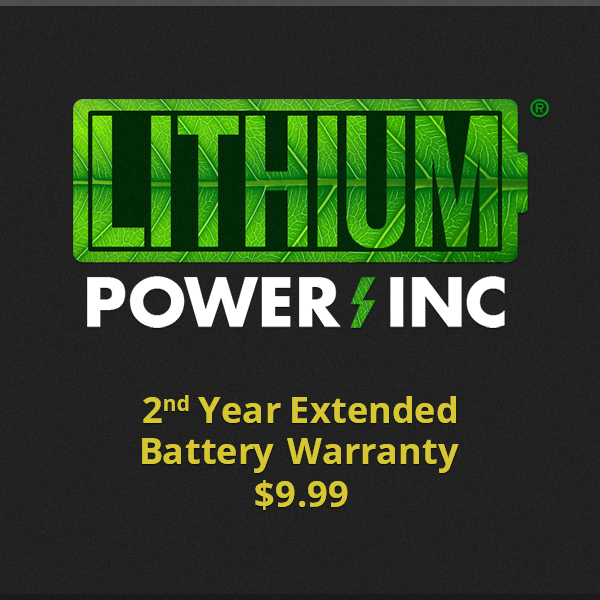 Whether you are a frequent user of your Roomba/Scooba/Neato or not, our second year extended warranty is a great opportunity that you cannot get from other replacement battery vendors. As a company who is focused on selling quality, environmentally friendly, and long lasting batteries - we aim to go above and beyond for you! Extended Warranty for Robotic Vacuums Replacement Batteries. Please read "terms" below before buying. Your warranty registration information will only be used for product warranty. iRobot®, Roomba® and Scooba® are registered trademarks iRobot® Corporation. Neato® is a trademark of Neato Robotics, Inc.
© Lithium Power, Inc. All rights reserved.